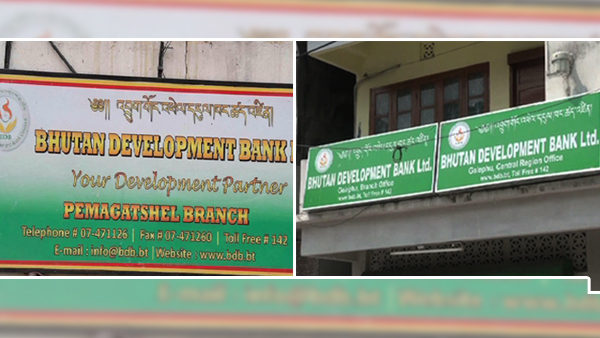 The Anti-Corruption Commission (ACC) has unearthed another embezzlement of over Nu 11.7m (11,764,015 /-) by an employee of the Bhutan Development Bank Limited (BDBL). The investigation found the accused had allegedly embezzled the amount from the Rural Credit Fund of Gelegphu and Pema Gatshel branch offices since 2012 while he was working as Branch Assistant/Product Service Officer of the bank. According to the ACC’s report the suspect bought 50 decimal plot, hotels and lend and borrowed money to and from many individuals for some business ventures. The report said all those activities were financed through the embezzled money. The investigation report also mentioned that the suspect was responsible to meet the overall banking requirements of his assigned Gewogs to make loan appraisals, visiting Gewogs for farmers’ outreach banking, mobilizing savings and catering to other bank needs. As per the report, the suspect carried out end to end job of opening accounts for loan application documentation in addition to field withdrawal and collection. This direct and frequent contact with the clients during visit to the Gewogs, according to the report has enabled him to know the clients closely where opportunity was abused to target individuals who are mostly illiterate or live alone. The suspect after knowing the inability of the clients in verifying the loans issued against their names, created fictitious loan accounts by using key documents related to mortgage and authorization from closed files of former clients. The suspect had filled in the loan appraisal forms by himself and put his thumb impression on behalf of the clients. These fictitious loans were prepared and approved whenever he officiated as the Branch Manager. When it comes to withdrawal from the clients’ accounts, the report found that the suspect filled in withdrawal slips and handed over to the cashiers during peak hours with an excuse that the client was in hurry and had left the withdrawal slip with him. The commission’s report further states that some clients after the suspect transferred to Pema Gatshel, informed the bank that the loans in their names were never taken by them. Some of the clients even lodged the loan denial complaint to the bank in Gelegphu. However, the management did not take serious action against the issue which led the suspect to continue embezzling the funds from Pema Gatshel branch to cover up the accounts created in Gelegphu branch. The ACC report says another businessman is also involved or associated with the embezzlement case, but is still at large. Pema Gatshel police arrested the prime suspect following the bank’s complaint report in July last year. The bank lodged the complaint that the suspect had embezzled over Nu 3.8M (38,00,000/-) by forging documents in the name of eight individuals. The suspect is currently under suspension and the case under review in the Office of the Attorney General.